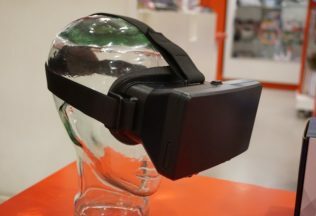 Will VR headsets be used in our future supermarket shopping experiences? Shopping is a physical and sensory experience. Humans evolved doing some sort of physical ‘shopping’, even if for most of history the similarity of that activity and a trip to the supermarket has been fleeting. Much as we might hate the queues at the checkout, difficulties parking and reducing ranges, there is still an emotional and social element to the experience. It applies even more in specialist retailers. The more specialist, the greater the degree of sensory engagement necessary. This is all however breaking down, and quickly. So what can we expect from Amazon that would justify $US13.6 billion for Whole Foods? Virtual and augmented reality is coming at us like a train. Just as Shoes of Prey allows you to design your own shoes, and Warby Parker has become a billion dollar company in six years by helping you to choose your glasses online, Amazon (surprise surprise) is playing with Prime Wardrobe. Ikea is also experimenting with a virtual furniture app. It seems a short step to see people using virtual reality from their couch to ‘walk’ through, select, place an order and schedule delivery from a grocery ‘store’. Almost a year ago, my second son bought a VR set for a few hundred dollars, and when I fiddled with it I thought I had seen the future of market research. Even so recently my imagination did not take me to that next small step of actually ordering a delivery management system, but why not? The biggest obstacle to digital grocery growth has been the logistics, both timing and cost. Fresh and frozen produce where timing and cold chain integrity is paramount requires a different set of standards to shelf stable commodity categories. Shoppers are very price sensitive across homogenised commodity categories of temperature agnostic products, and it does not matter much if they remain on the front step for a while, diametrically opposed on both counts to produce. Timing of delivery has been particularly problematic in multiple income homes, and building delivery certainty creates considerable cost. Both have been solved by the sort of technology Uber uses. It is pretty simple to have a crowd sourced delivery service where the vehicles just have a refrigerated unit in the boot hooked into a power source in the car, combined with the delivery scheduling Uber has amply demonstrated works. Payment security, while it should be a problem, as the level of fraud increases rapidly in Australia, it seems not to be for most of us. It will however be very soon. Blockchain technology will remove much of the risk, and in the early stages of development, seems to be ‘fraud-proof’. Amazon has been experimenting extensively with Blockchain, collaborating with many large financial and digital innovators to better facilitate and secure web based financial transactions. It seems to me that these are the three building blocks Amazon needs to make a huge dent in the traditional supermarket business, struggling to identify the sustainable sources of growth and profitability. Whole Foods is only the stalking horse, as there is a lot of expertise in procuring quality fresh produce in predictable volumes, and Whole Foods is already an expert in this. Amazon will add their expertise onto what they are doing already, and bingo, another disruption coming your way. Allen Roberts is a guest contributor to Australian Food News and writes another of his regular articles here. He is the Director of Strategy Audit www.strategyaudit.com.au and has worked in the food sector for more than 35 years. To read his full biography click HERE. Are the Amazons hunting the Aussie retail gorillas? What will Brexit mean for Australian food and beverage producers? Byron Bay Cookie has launched a new range of cookies to celebrate 15 years as a Qantas supplier.